Mike started playing bridge in college, he had a good time but life interfered with his bridge career and after college he did not play for more than 20 years. In 1990 his good friend Dorothy Santner needed a partner and his bridge career ignited or at least started to sizzle. He played in Beth Percich game at the Olivette Center every week. He loved it, however, it took 12 months before he earned his first master point against the very strong players at that game. He became a director in 2013 and started running games at Bridge Haven. He runs multiple pair games and several team games. Everyone loves Mike and we are glad he is with us. If you need a partner or team mates for the team games, give Mike a call, 314-583-1745, he works wonders creating teams and pairs. Chuck Starovasnik has run Bridge Haven for over 18 years. He has a number of directors that help him so the games run smoothly. He learned to play bridge over 35 years ago and has been hook on bridge ever since. 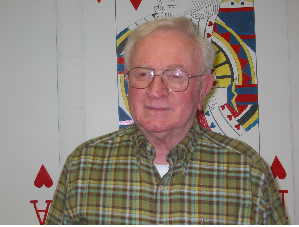 He is an ACBL Silver Life Master and has taught bridge at numerous locations, including the bridge table. He has currently enjoyed running bridge games on different Cruise Ships. This has taken him to Europe, South America, Hawaii, Alaska, etc. "Bridge has been very good to me. I am lucky to have bridge in my life." 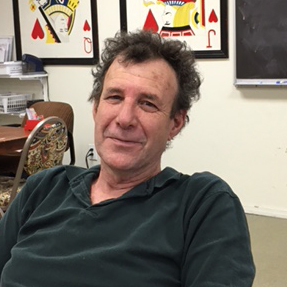 George Hawley has been an ACBL bridge director for many years. 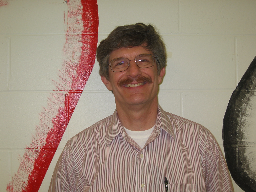 He is a certified ACBL Bridge Educator and has taught many classes for the Junior College System. When giving lessons in North County he met his wife, Mary. They have been playing bridge together ever since. 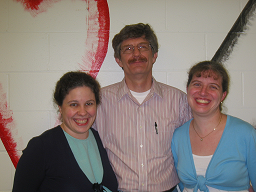 When George started directing his games, his son Matt and daughters, Becky and Sara helped him. At that time Matt was 6, Becky 12 and Sara was 16. Thus, his children learn to play bridge at a young age. Now, when he runs the Swiss Teams on Sunday night at Bridge Haven, Becky and Sara help him. It is truly a family affair with everyone participating in the game. George's Swiss Team is the forth Sunday of the month. Reservations are requested as the game will be limited to 18 tables. Call Barbara to make your reservation at home=314-822-9454 or cell 314-374-6027. Come one and all and have a good time. Phyllis Siegel is a Silver Life Master, certified bridge teacher, and now an ACBL director! She learned to play bridge at Washington University, but didn't start playing duplicate until she retired from teaching school. Once a teacher, always a teacher! She enjoys teaching! 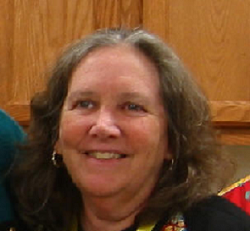 She has been teaching Beginner's Bridge and Intermediate Bridge/Party Bridge for over 35 years through the St. Louis Community College, at Afton Community Center, and Bridge 4 Kids at MICDS. She was a teacher/counselor at Bridge Camp for Kids in Carlinville, IL, for many summers and will continue to repeat that experience. "Teaching bridge is my fun job." I love when my students do well and have fun! Phyllis runs a Bridge & Lunch every Wed. morning at 10:30 AM at Bridge Haven. She says her game is "the friendliest game in town". Bridge Haven says, "We feel extremely lucky to have her as a director". So bring a friend and join her at the bridge table at her next game. Interested in classes, lessons, or games, call her!